Indonesia is an island country in Southeast Asia and ideal for photo shootings or audiovisual productions in natural areas and wild landscapes. 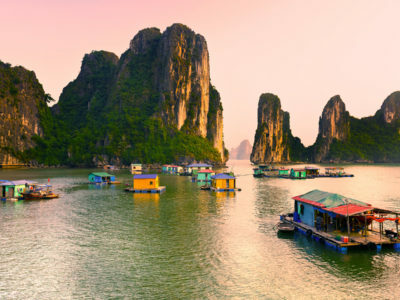 In this article we have gathered some of the most attractive points of the more than 17.000 islands that make up this country. 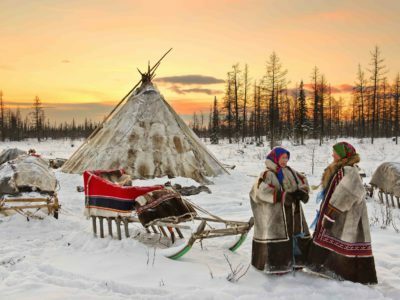 It is full of corners that you can’t cover in a single trip, so we give you here some recommendations to enjoy this incredible country, so perfect for your audiovisual project or photographic shooting. These two beautiful temple complexes, where you can shoot impressive photographic and audiovisual productions, are accessible from the city of Yogyakarta. 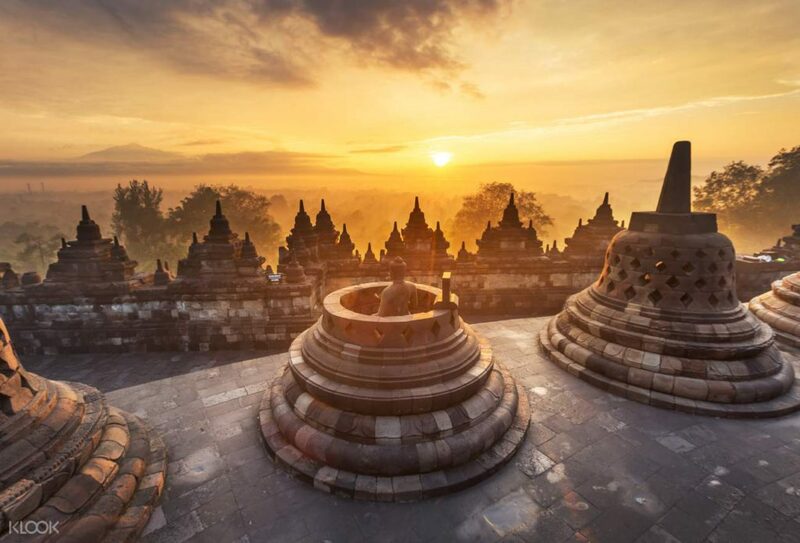 The Borobudur is considered as the largest Buddhist monument in the world. It is built in the VIII and IX century and consists of six square and three circular platforms, one above the other. It was abandoned around the 12th century, due to the conversion of this region to the Islam. 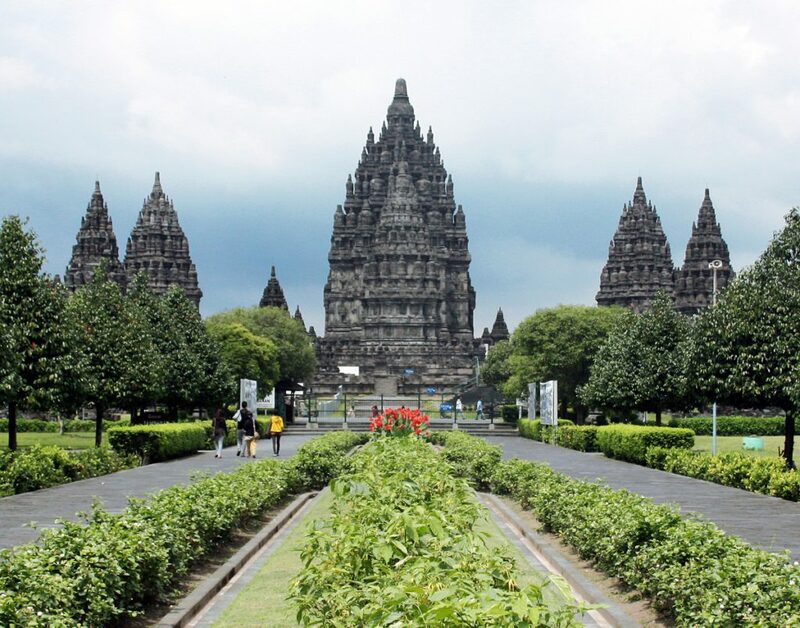 The Prambanan is a complex of more than 200 Hindu temples. 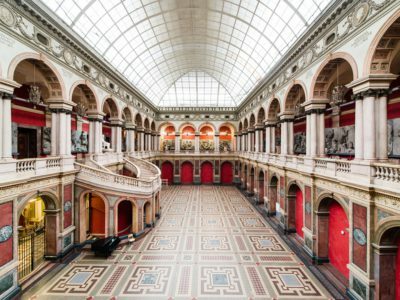 Today only a part of the complex is preserved. The central and most imposing part is the temple that contains the “Lara Jonggrang” which alludes to a petrified princess. The temples are located around a central courtyard, where the eight main temples are constructed. This pine trees forest is located in Dlingo, Bantul. 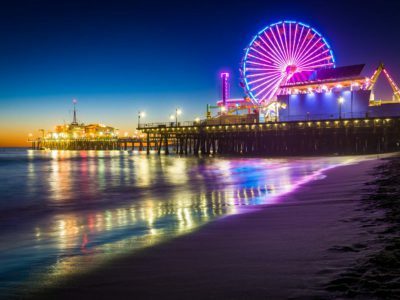 It offers beautiful views and has become a very attractive place to capture the sunset. Ideal for any audiovisual project. 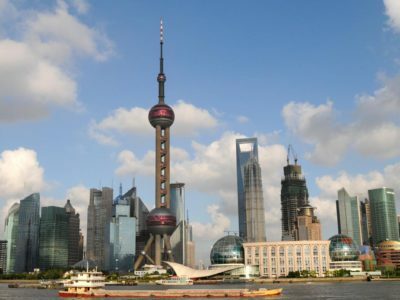 You will find here many elevated platforms from where you can especially appreciate the views. 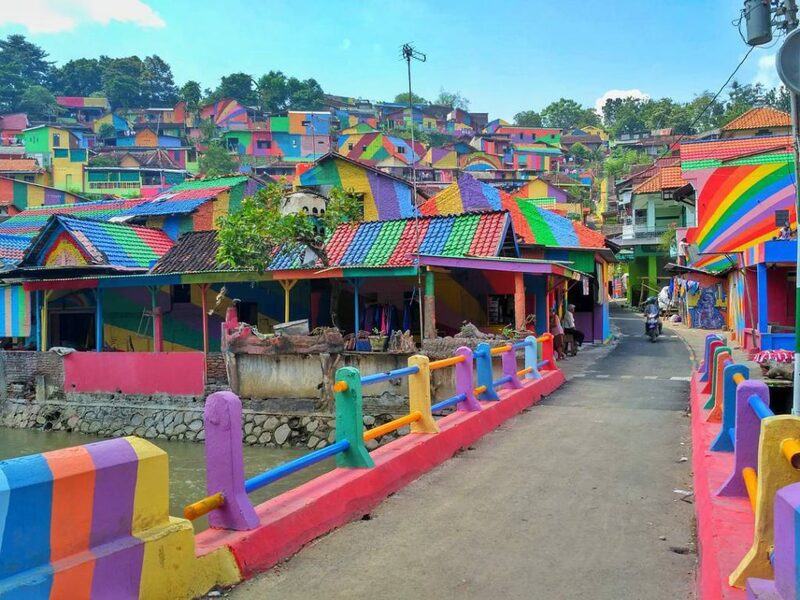 This village is located south of Semerang and consists of 223 colorful houses. Each house is painted with a minimum of 3 colors and in the streets you will find a multitude of murals. Completely perfect for your most colorful audiovisual production or photographic shooting. 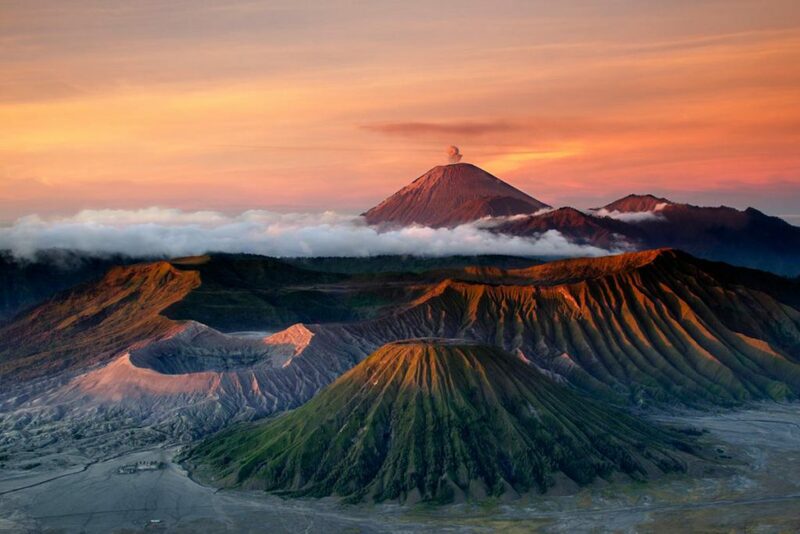 The Bromo is famous, especially for its spectacular sunrises. The views are spectacular when the sun begins to illuminate the landscape. You can get close to the volcano, and even climb to the edge of the crater! You have than on one side the crater, very steep, pulling a plume of smoke and on the other side the valley. A multitude of options for your audiovisual production or photographic shooting. One of the most famous places on Bali is the Monkey Forest, Ubud. This forest contains a dense and varied vegetation. Here you will find not only several temples but also the famous Dragon Bridge, and a cemetery with hundreds of monkeys who live there. 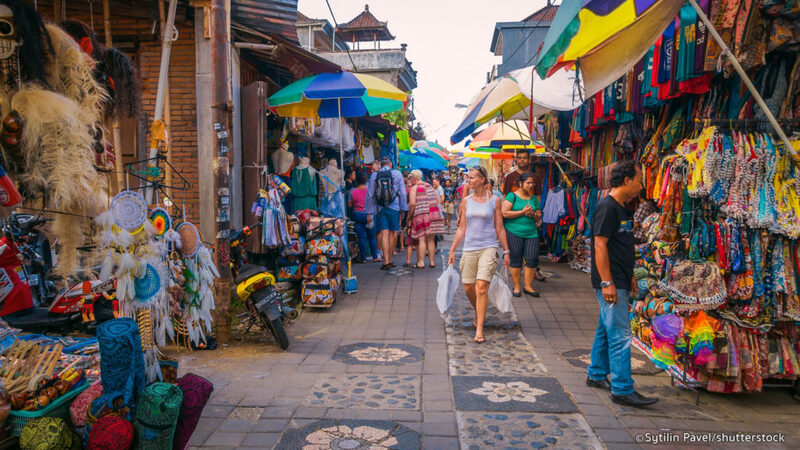 It is worth visiting the artisan markets and the temples to discover all the characteristics of the center of the island. 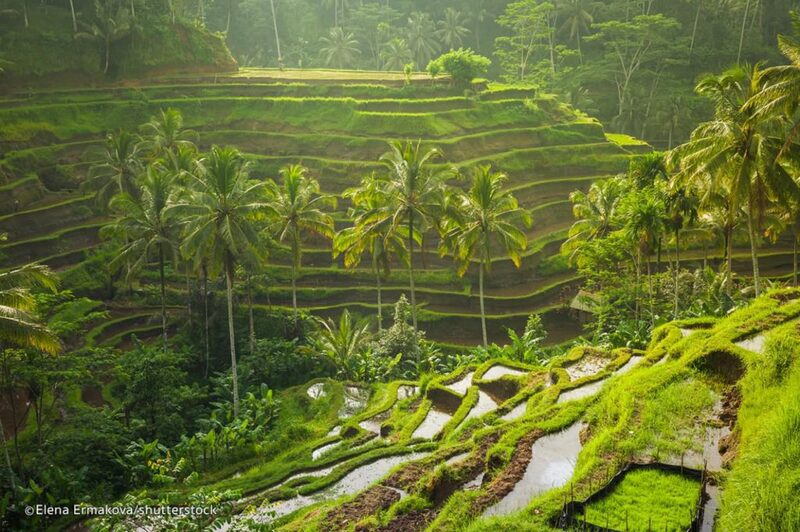 Tegallalang, with its rice fields, is very close to Ubud and one of the biggest attractions of the island of Bali. Depending on the time of the year the terraces will be of an intense green, golden or like water mirrors, but they will always be perfect to locate your audiovisual production or photographic shooting, or to enjoy a walk between them. Although we can say that they are all beautiful and surprising, we understand that you can’t reach them all, so we want to leave you a list of what could be the three best ones in Bali, for your audiovisual project. Kanto Lampo. Besides being beautiful, it is one of the best accessible waterfalls. 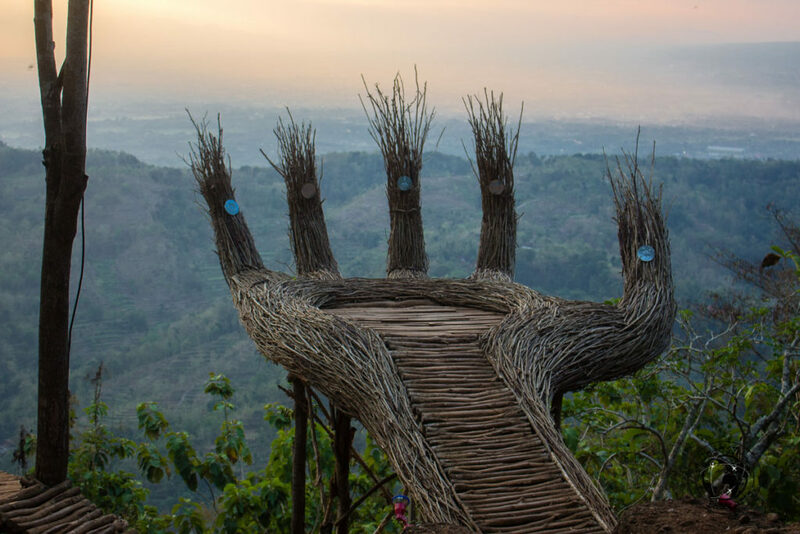 It is located at 11 km from Ubud and you have only to go down a few steps to reach it. Nungnung. 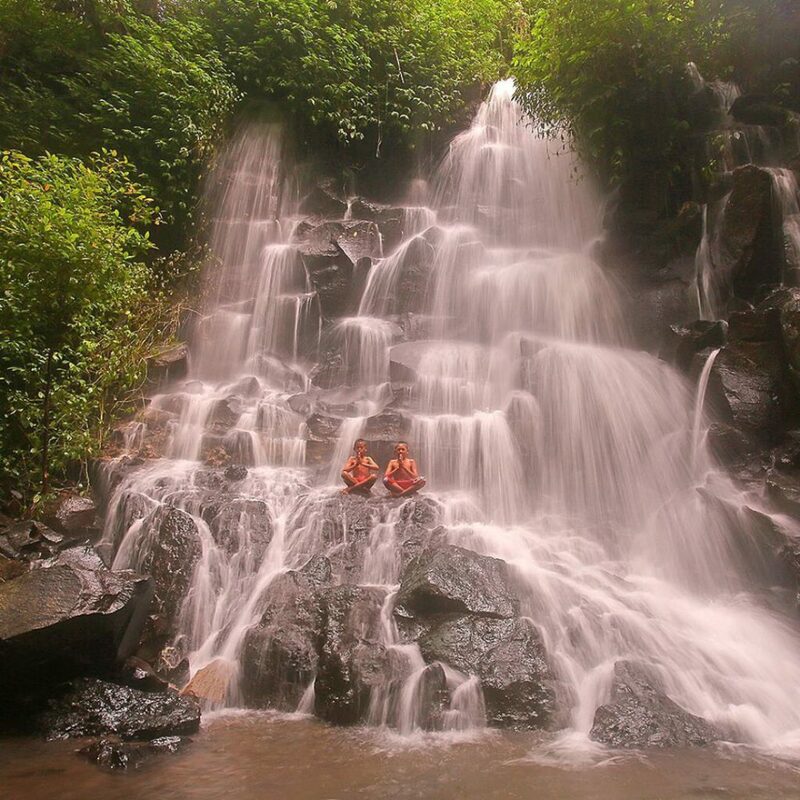 In addition being one of the easier accessible and best known waterfalls, it is also not far from Ubud, some 35 km. The road to get there is arduous, with more than 400 steps, many of them higher than normal, until you reach the base of the waterfall. Munduk. 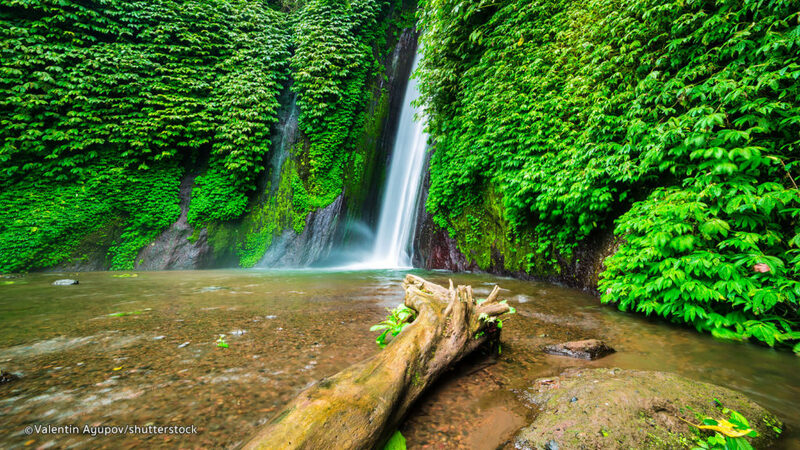 This waterfall is 62 km from Ubud located, from the parking you have to go down about 500 meters along a path, surrounded by vegetation, until you reach its base. The Seminyak, Kuta and Legian beaches have all three the same sand and very similar waves. 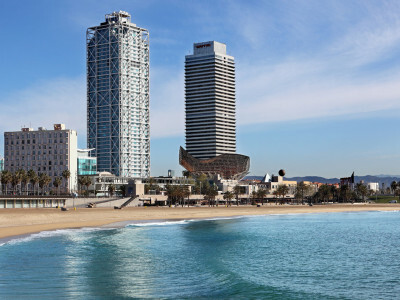 They are ideal places to surf and to enjoy the alternative atmosphere in your audiovisual project. 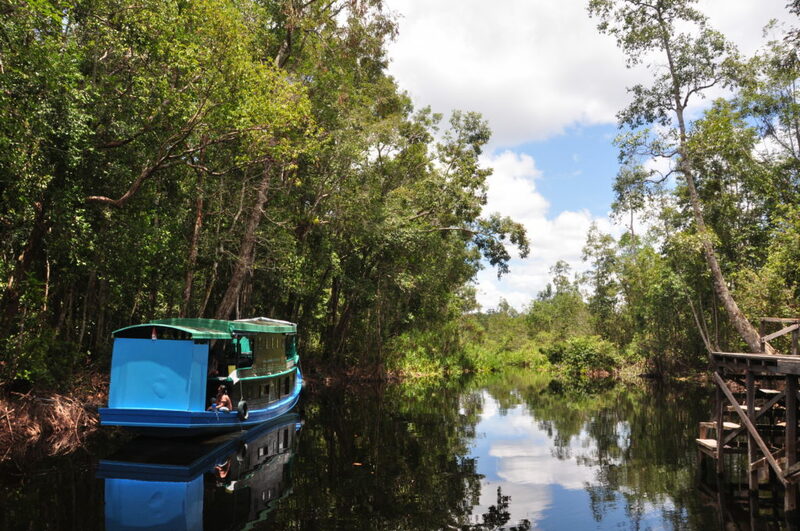 This is a famous park in the south of Kalimantan, where you can not only come in close contact with Asia’s biggest ape, the orangutan, but also can visit the jungle aboard a houseboat. An experience with spectacular landscapes and wildlife for your photographic shooting or audiovisual production. 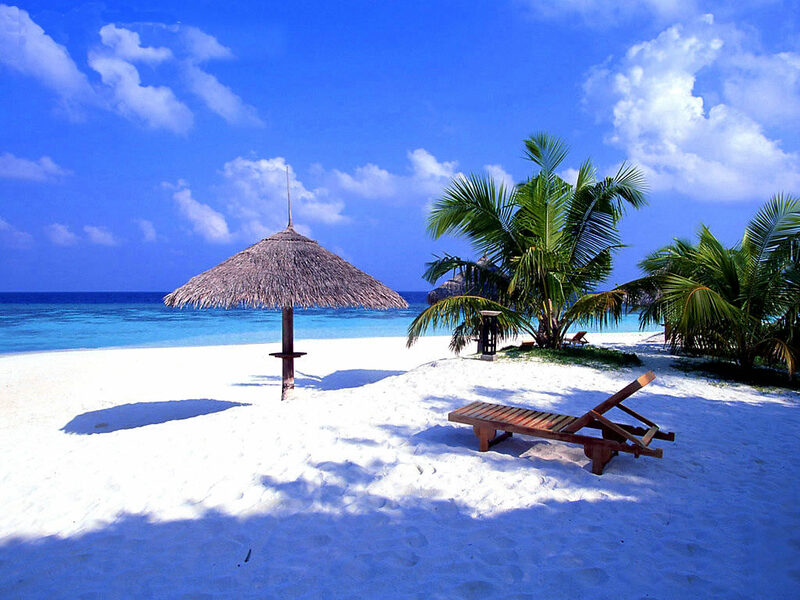 If what you are looking for, for your audiovisual project, are true dream beaches, you will discover these islands are only a few hours by boat, next to the neighboring island of Lombok. 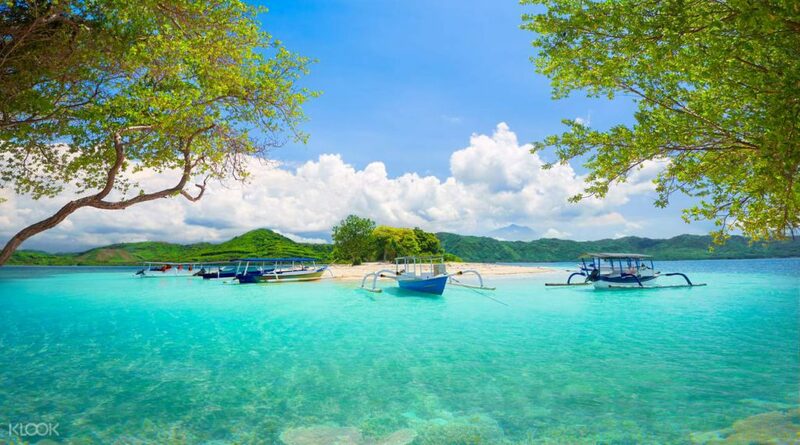 The Gili islands are a group of three small islands, which vary in size and personality, but all three offer exquisite beaches, clear water and an excellent dive full of turtles. Oh, and don’t look for motorized vehicles, they are forbidden. Its coasts are characterized by turquoise blue waters with multicolored fish that slide between the coral reefs. 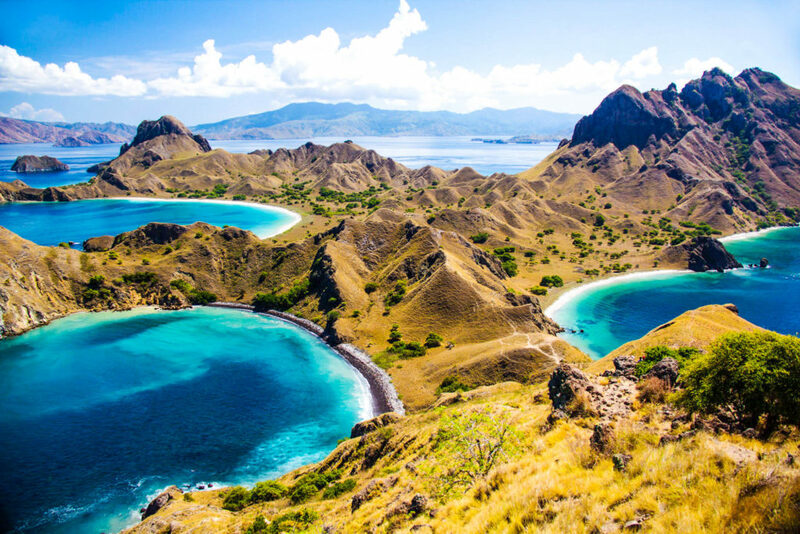 This island is a natural park due to the famous animals that live there, the incredible Komodo dragon. It is the largest lizard in the world and they look truly like a dragon. You will be very lucky if you manage to photograph one in your photographic shooting or audiovisual production, since they are only found here and in some parts of the neighboring island of Flores. 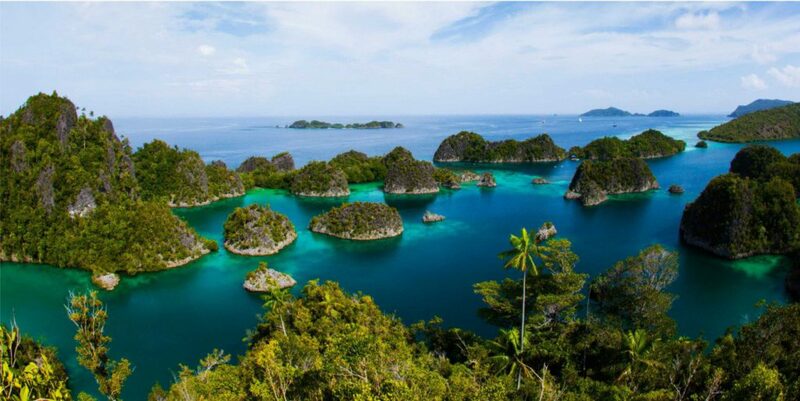 Raja Ampat is an archipelago located in the area of West Papua, Indonesia, and counts more than 1.500 islands. It is located in the center of a coral triangle, and is known as one of the areas with the greatest marine biodiversity in the world, with fantastic corals and fish of all sizes, shapes and imaginable colors. Surface diving is also fantastic here, and the views are equally sublime for your audiovisual project. 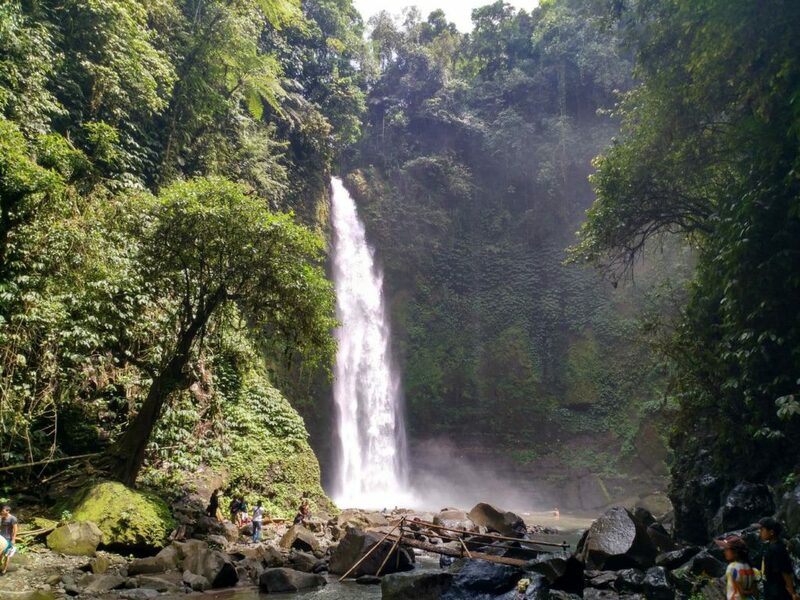 IF YOU LIKED THIS COMPILATION OF LOCATIONS in INDONESIA AND YOU WANT TO KNOW MORE ABOUT REMOTE DESTINATIONS LIKE THESE FOR YOUR AUDIOVISUAL PRODUCTIONS OR PHOTOGRAPHIC SHOOTINGS, CONTACT US NOW.